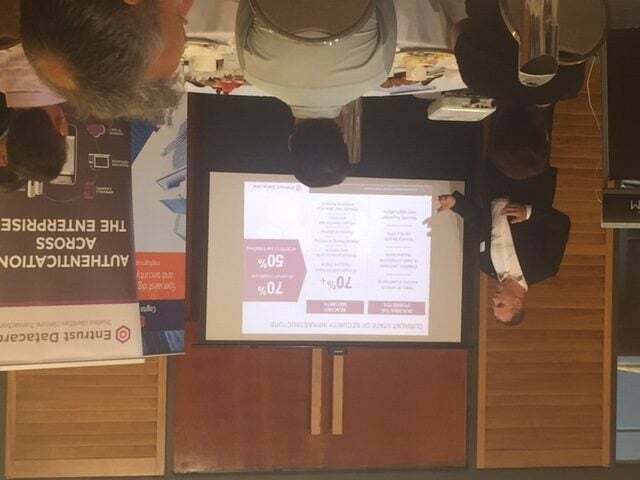 This morning Cogito Group partnered with Entrust Datacard to bring an informative session focusing on ensuring trusted access for a connected and evolving world. 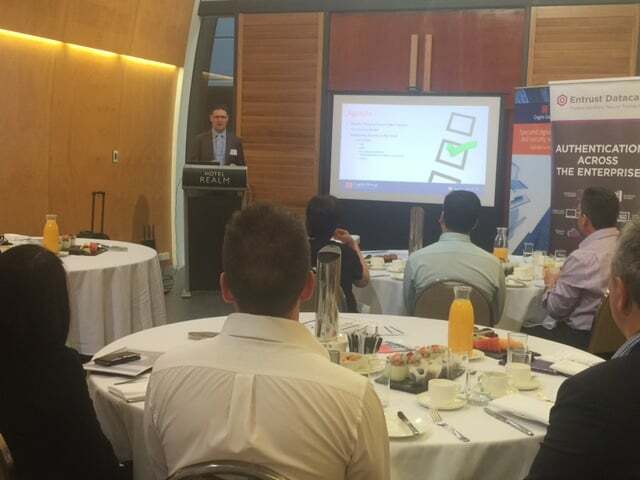 Held at the Hotel Realm in Canberra, the three speakers explored different areas of trusted access. 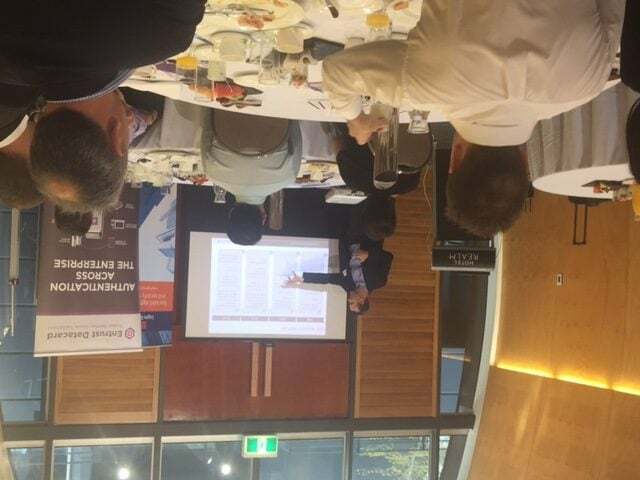 Richard Brown, Managing Director of Cogito Group discussed Cloud Security. Enterprise-level protection is now possible at costs that make it accessible to organisations of all sizes. Importantly cloud security services are able to adopt new innovative technologies, such as improved threat protection, without waiting for an upgrade cycle. He explored the Authentication as a Service case study adopted by the New Zealand Government. Jay Schiavo, Director of Products and Markets at Entrust Datacard , presented on the changing world of SSL. He explained how the technology, the needs, and browser requirements and displays have all changed. He also touched on how customer expectations have transformed and with that how CAs have changed and transformed to meet these. He gave an overview of these changes, what it means to you, and what you should be doing to mitigate risk and securely deploy SSL. Evan O’Regan, Director of Product management for Authentication at Entrust Datacard, delivered a session on how the world is in the midst of real changes that will fundamentally transform the way organizations handle authentication in consumer, enterprise and citizen applications; and outlined how identity-based security is needed to offer more security, simplicity and a new and better user experience. Leveraging his experience on authentication in the US, Canada and Europe Evan spoke on the move to mobile and truly secure identities.